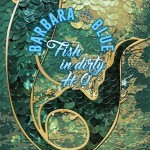 When Barbara Blue isn’t knocking one over with her powerhouse delivery, she’s just setting that listener up for the next punch. The Memphis-based Ms. B belts it out and frequently collaborates on a hefty set of soul and blues; her solid backup unit driven by drumming deity Bernard “Pretty” Purdie. Standouts include “Meet Me In Memphis”, “My Heart Belongs To The Blues” and “Dr. Jesus”.